This breed was originally bred to be a gun dog—and got its name from how it ‘springs’ after game. 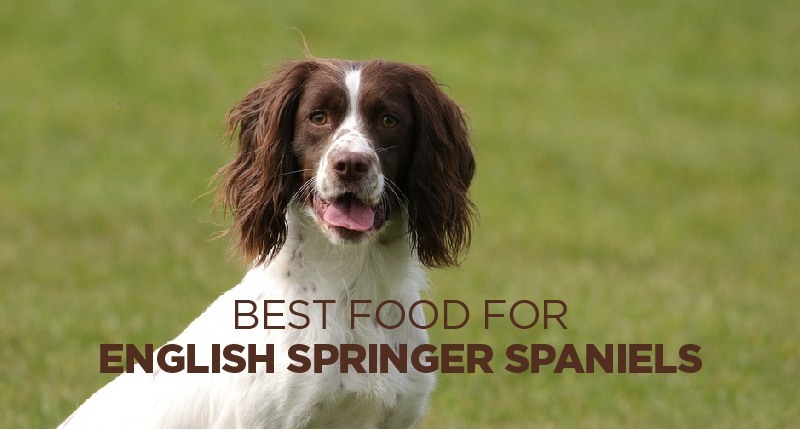 But what’s the best dog food for English Springer Spaniels? We’ve done the research—and we’ve found a kibble that seems like a perfect match. As a dog that regularly participates in agility, hunting, and tracking tests, this breed definitely doesn’t have ‘small’ calorie requirements. The Springer Spaniel tends to grow to a height of about 1 foot, 8 inches tall at the shoulder, and can weigh anywhere from 45 to 55 pounds as an adult. A less active dog of this breed will need about 900 calories per day to stay active. A moderately active Springer Spaniel might need a bit more, however—and may eat as many as 1,100 calories on a daily basis. If your dog is highly active, works, or participates in sporting events, then be prepared to feed even more than that—even as many as 1,800 calories or more! It might be a good idea to watch how your dog eats when setting the calorie limit on his/her daily food. If they tend to scarf it down and still seem hungry, then you might need to increase their portion sizes a little bit—just to make sure that they’re getting enough. If you’re looking to learn more about the English Springer Spaniel, then I would definitely check out this video from the popular Breed All About it series, which was created by Animal Planet. It does an awesome job of explaining the basics of owning a Springer, and is definitely a recommended video for anyone interested in this energetic, yet lovable canine! Like any dog breed, English Springer Spaniels require a diverse range of nutrients, and a healthy base of antioxidants, vitamins, and minerals. Glucosamine, Vitamin C, Omega 3 Fatty Acids, and Vitamin E will do a lot to help this dog breed to avoid their predisposition for hip dysplasia. Chicken meal, for example, is an excellent source of glucosamine—while ingredients like Polyphosphate will provide essential Vitamin C.
Plenty of B vitamins will also help your English Springer—so a good kibble formulation that contains plenty of these is essential. B vitamins help to promote better reflexes, aid in eye health, prevent hair loss, and even benefit the nervous system. And of course, ingredients like blueberries, carrots, and eggs also help to promote better vision—so choosing a kibble that contains these types of foods can be very beneficial for the Springer. If at all possible, a formulation that’s grain free would be ideal—especially one that contains no corn, wheat, or soy—as these tend to be fillers that a lot of dog-food companies only include to lower the production costs. Thankfully, this dog breed tends to be quite healthy. 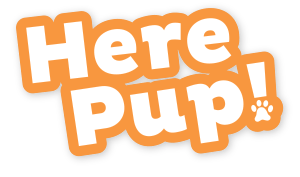 Adopting a puppy from a professional, caring, and reputable breeder can also do a lot to help minimize your risk of possible genetic problems. But still—even with these safeguards in place, there is still a chance that your dog could develop some kind of health problem in the future. Here are some of the more common diseases and conditions that tend to afflict this agile, yet lovable dog breed. This condition affects the hip joint, and basically keeps it from fitting correctly into the pelvis. Symptoms can include pain and/or lameness in one or both of the dog’s legs. The condition can be corrected with surgery—and a puppy’s parents can be tested for the condition to see if they carried it genetically. A diet that’s rich in glucosamine, antioxidants, Vitamin C, and Vitamin E can do a lot to help prevent or manage hip dysplasia. Feeding a high-quality dog food can also help. Retinal Dysplasia affects the retina and how it develops. Most of the time, the condition won’t cause vision loss—but some more serious cases may. Dogs with this condition shouldn’t be bred, to avoid passing it down to others in the bloodline. A diet that’s rich in foods like cold water fish, pumpkin, blueberries, carrots, garlic, and eggs can also help to prevent and manage all kinds of different vision problems, as they promote better overall eye and vision health. This is another condition that can affect a dog’s vision—though it manifests itself as a droopy lower eyelid that folds inward on the eye. It can lead to sore, irritated, and/or infected eyes, and may need surgery to be corrected in extreme cases. Of course, as stated above, foods like cold water fish and eggs can increase vision health and eye health in-general, and might help to prevent or manage eye problems resulting from Entropion. Springers usually begin the weaning process around 3 weeks of age. At this point, they’ll probably be ready to get at least some of their daily nutrition from solid food. Some suggest that canned food might be the best bet at first, since it’s easier to chew—though soft kibble and puppy formula might also do the trick. As with most breeds, it’s important for Springer Spaniels to get enough socialization time with their mother and the rest of the litter. For this reason, most people recommend that these puppies should never be adopted before they’re 8 weeks old. Of course, socialization with humans should begin much earlier—so that they can get used to their caretakers and not see humans as a threat or something to be afraid of. By the time your Springer is 10 weeks hold, he/she will probably weigh somewhere close to 8.5 pounds. A puppy of this size will require about 300 calories per day to stay energized and well-nourished. So, What’s the Best Dog Food for English Springer Spaniels? We’ve done quite a bit of research to answer this question. Of course, with so many excellent dog food choices on the market today, finding one that’ll work doesn’t have to be a problem. But in our opinion, one dog food that stood out as one of the best options for this specific dog breed was Blue Wilderness Natural Evolutionary Diet Duck Recipe. This food really had everything that we were looking for. It contains Chicken Meal as its number-two ingredient—which is an excellent source of Glucosamine. This will help to promote better joint health, and help with the dog’s predisposition toward Hip Dysplasia. It also contains quality sources of B Vitamins, as well as Vitamin C and Vitamin E—all of which are essential to the English Springer for a wide variety of different reasons. And since this dog breed can be somewhat susceptible to vision problems, we really liked that this kibble included ingredients like Dried Eggs, Carrots, Blueberries, and Pumpkin—as these are all foods that help to fortify eye health and prevent problems ranging from eye infections to cataracts. 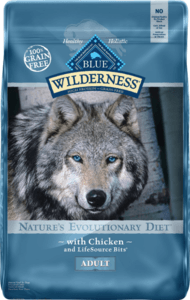 If you’re looking for a dog food kibble that’ll keep your Springer happy, healthy, and going strong, then we definitely recommend Blue Wilderness Natural Evolutionary Diet Duck Recipe. It’s packed with all of the basic nutrients that a Springer needs, while being deficient in all of the things that a dog doesn’t need (like corn, wheat, and soy). 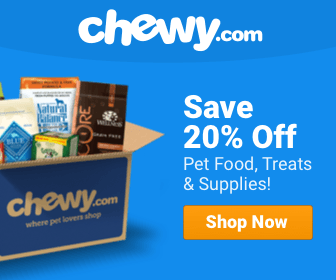 If you’re tired of cheap dog food and want something that’s going to make a difference, then you should certainly consider giving this kibble a try.